Hi Everyone, I hope your week is off to a great start! A little housekeeping first, you’ll notice on the left hand side instead of Google Reader we now have two new ways for you to follow our blog – since Google Reader is no longer operating 😦 The first is Google+ and the other is BlogLovin’ Be sure to add yourself so you don’t miss anything! I have “Learn Google+ on my ‘To Do’ list this week” BUT I do already add new blog posts to my timeline! So, I figure I’m one step in the right direction, or at least that’s what I tell myself 😉 How many of you have tried Google+? What are your thoughts? It seems like there isn’t a day that goes by that there isn’t something new in the world of social media! 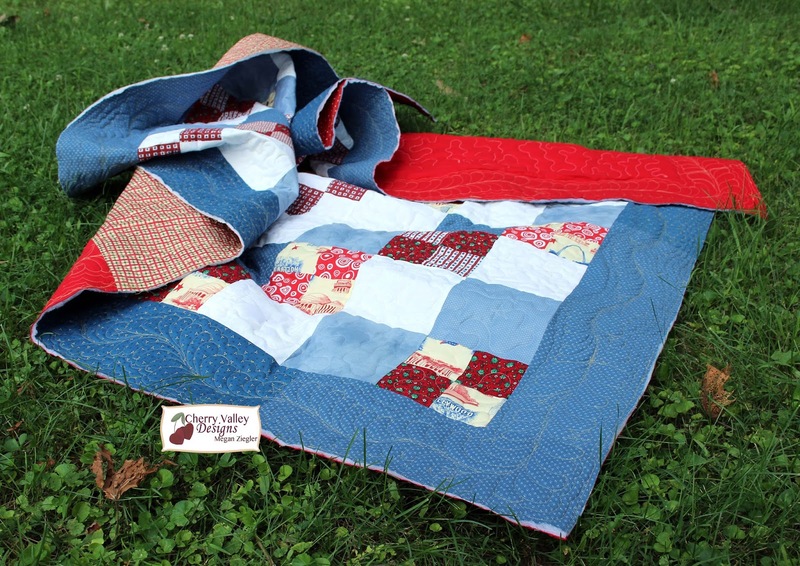 Moving on I thought I’d share another quilt I worked on for Quilts of Valor. 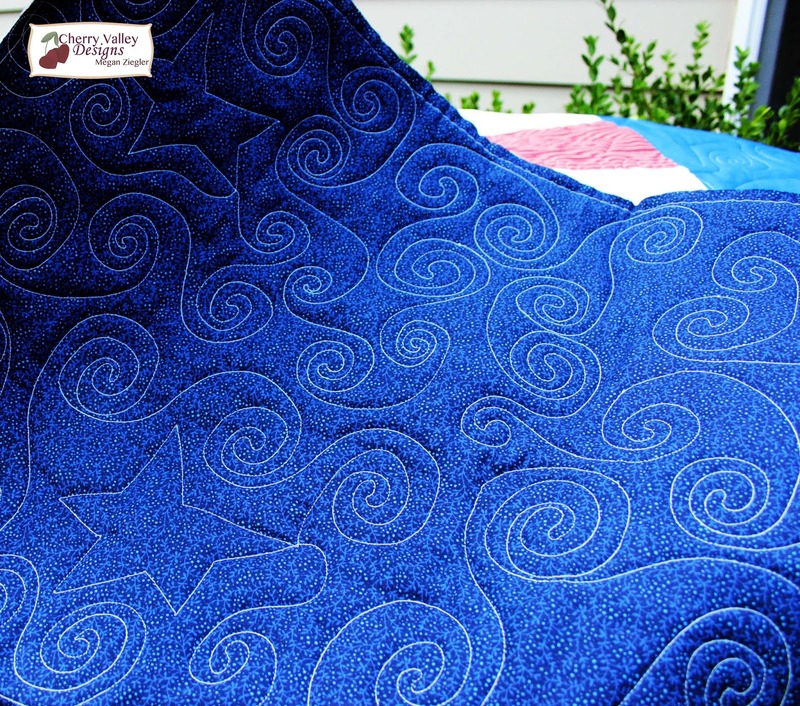 This quilt was done for the same guild and again was made using scrap materials from donated stashes … what a great way to use those fabrics when we’re “cleaning shop.” For this quilt, I just did an overall swirl design with outlined stars interspersed. I probably would do tighter swirls on other projects and use them more as a filler, but I wanted this quilt to be comfy and not stiff from having used a tight design. The sizing and spacing worked out perfectly and gave me a chance to practice my swirls! Happy Friday Everybody! Fall is quickly approaching and what does that mean? New patterns and products! Help us clean out some space to get ready. Now through Tuesday (July 30) receive 50% off your ENTIRE purchase when you enter the code JULY2013 at checkout! Click here to begin shopping! 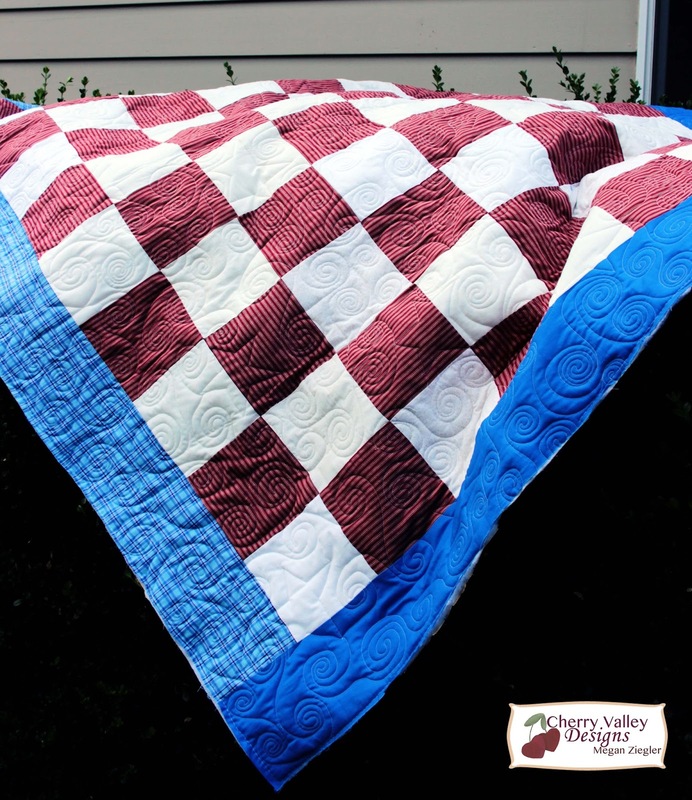 Onto Finished Friday … At the beginning of July I signed up as a Quilts of Valor volunteer longarm quilter. I was quickly connected with someone living in the same town as me. Funny thing is that she also used to work with my parents, what a small world! 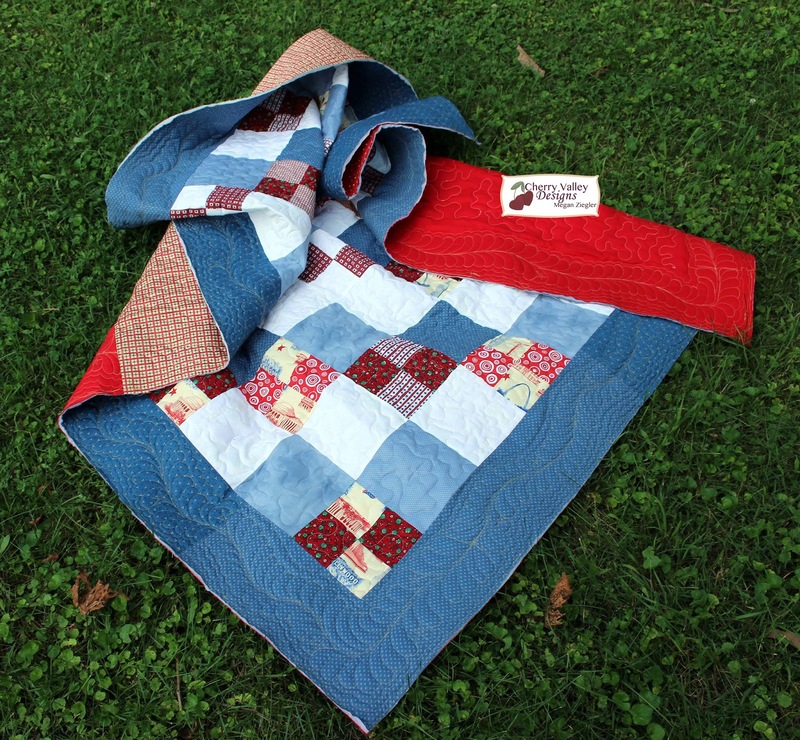 She said the closest person she had ever quilt for her was about an hour and a half away. Well, no more! She gave me two quilts that her quilt guild worked on putting together. They are scrappy quilts and were a lot of fun to work on and practice some new designs, mainly the echoed feather border. I have been terrified of echoing, but it ended up not being so bad. You’ll also notice that I put little stars scattered throughout the feathers just for fun. I finished up the second quilt last night, but haven’t had a chance to photograph it. That will be a post for next week. Thanks Judy for letting me quilt your quilts! Special shout out of thanks to the linky parties today: Finish It Up Friday; Can I Get a Whoop Whoop? ; Thank Goodness it’s Finished Friday. Happy Friday Everybody! 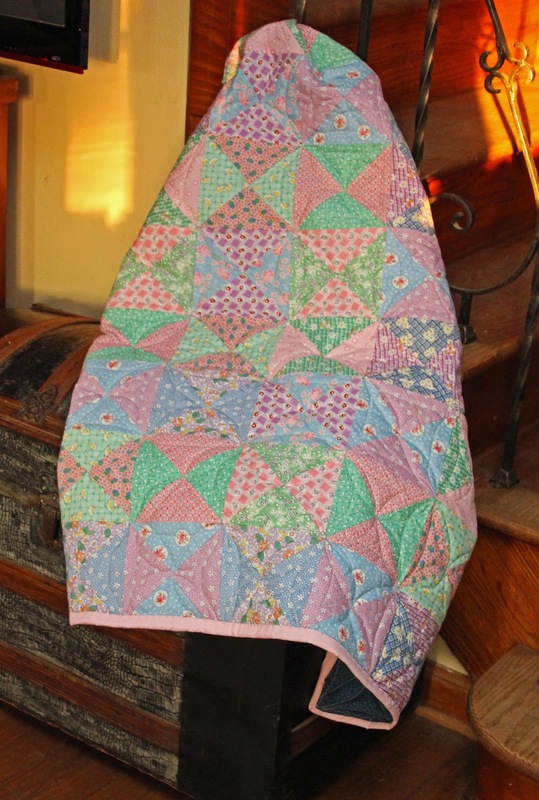 Today I wanted to show you the finished quilt from last week’s “Life’s A Charm” series. You can click here to read more. 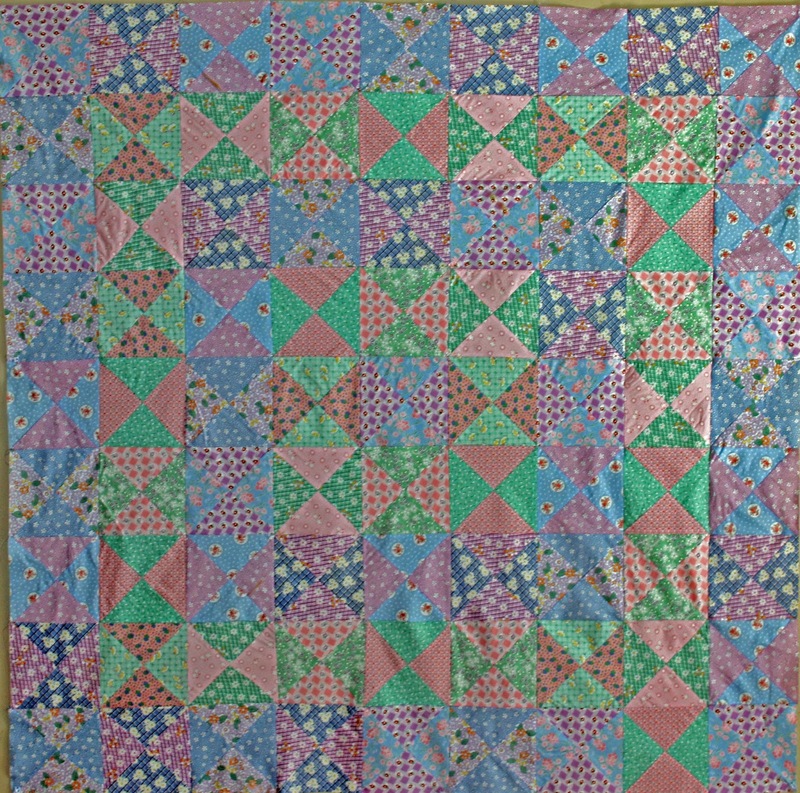 I did an easy all over block design on this quilt which was a lot of fun, it was a new design for me and it doesn’t take away from the busyness of the quilt. However, for the binding I wanted to try a new technique I learned a couple of weeks ago and thought I’d pass the tutorial on to all of you. 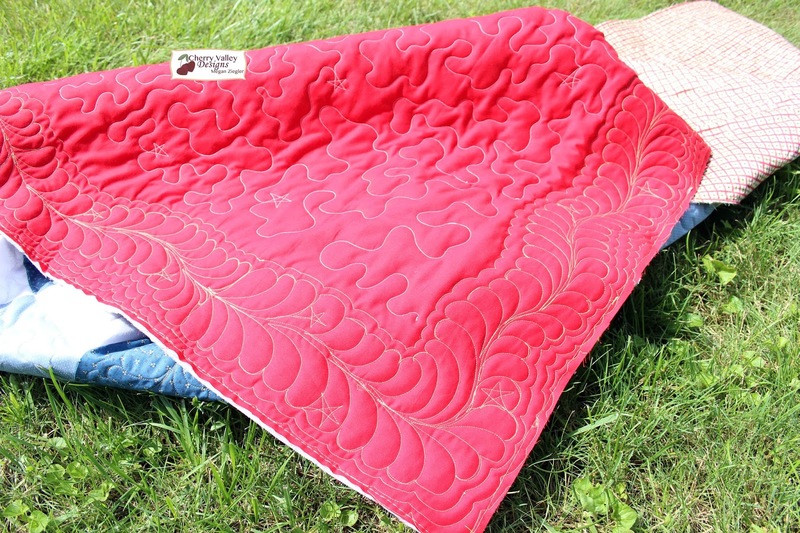 I learned about this a few weeks ago at a machine quilting guild I belong to. 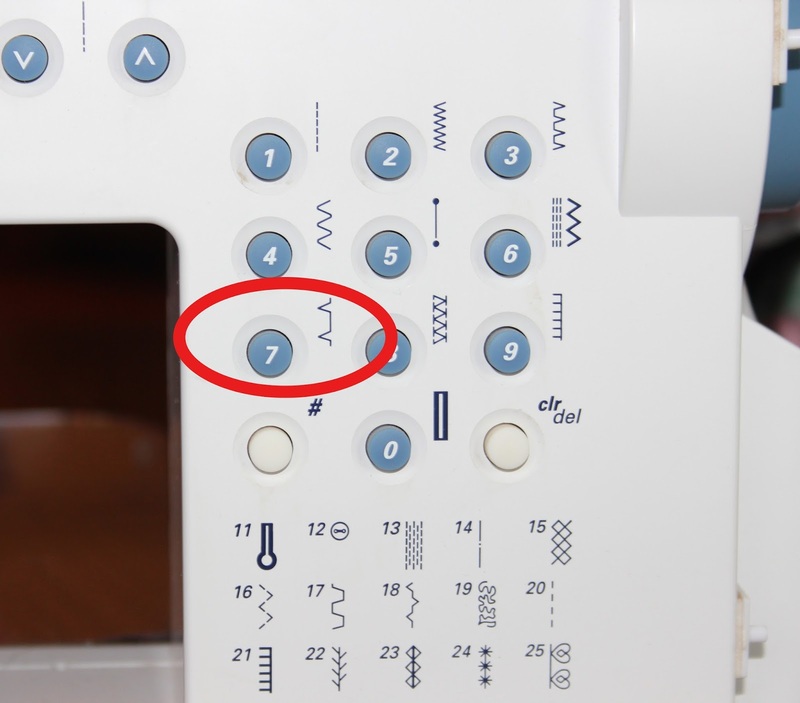 With this technique, you put the entire binding on by machine. While I’m sure many of you know about this, for those of you who don’t I hope this helps a bit. 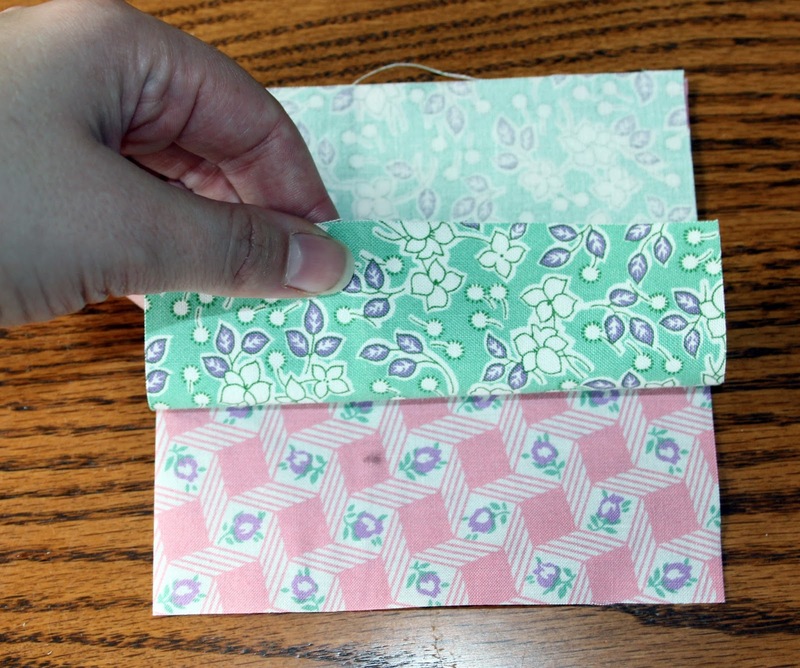 First, make your binding the way you normally would. Mine is 2 1/2″ wide and I fold it in half and then press. 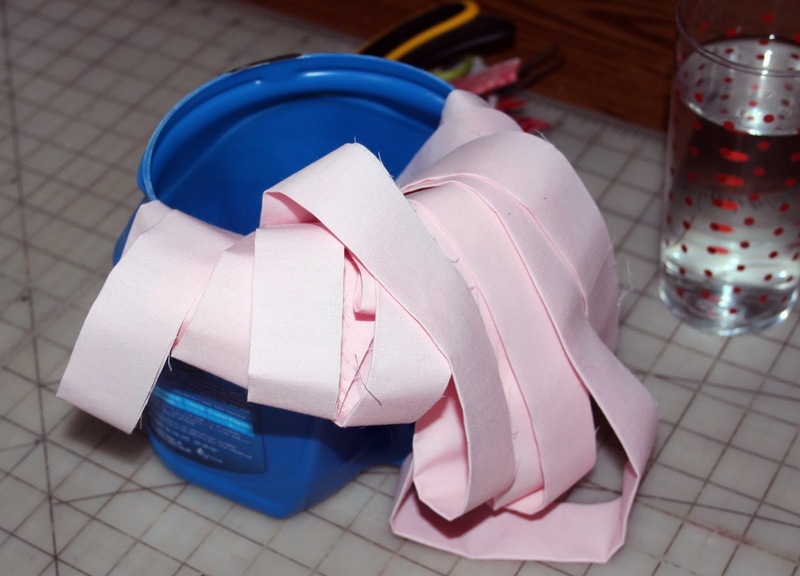 A little trick is to use an old coffee can and put it in while you’re ironing, that way it doesn’t fall all over the floor and you can just pull it out easily as you’re stitching it down. This has been a lifesaver for me. 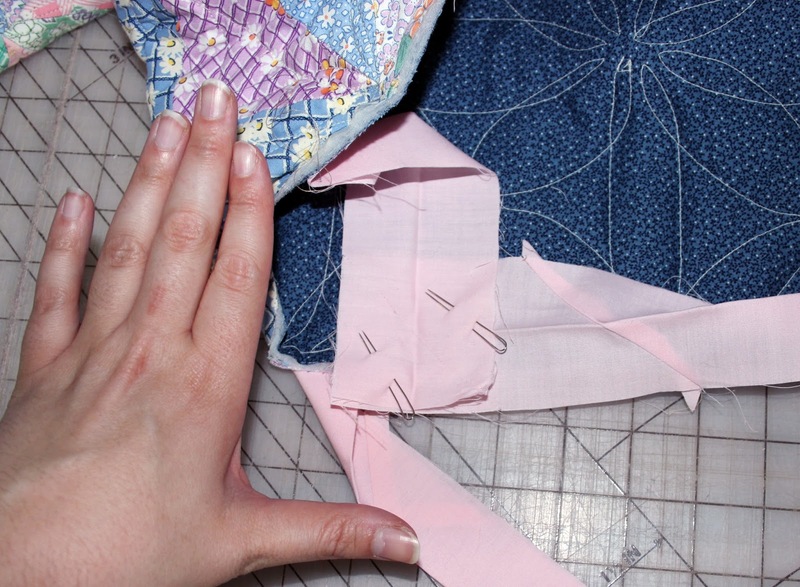 Once your binding is prepared, attach your binding like you normally would with the raw edge of the binding matched to the raw edge of the quilt, but make sure you sew it to the back of the quilt. 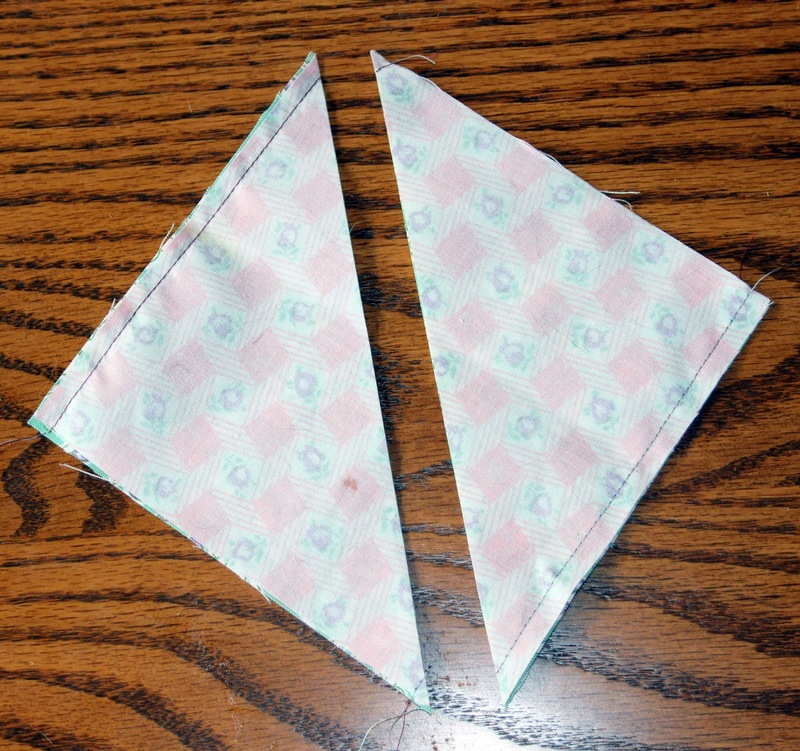 Then … you need to cut off the excess at the beginning and end of your binding on the diagonal and do the final sew down. A tip of mine is to take a picture of positioning the ends correctly, taking a picture, printing it and keeping it at my sewing machine. This way, when it’s time to do this, you have an easy reference. I was always getting mixed up and ended up twisting all my ends every which way. Now I have a nice visual to clue me in … no more frustrations! Finally, pull the front of your binding around to the front (make sure your top thread matches your binding!) and stitch down with the blind stitch. This was the first time I’ve tried it myself and it went pretty smoothly with the exception that my machine doesn’t allow a stitch to have a mirror image. So when I used the blind hem stitch I had to push the whole body of my quilt into the machine so the stitch was facing the right way. Hi Everybody! For all of our US friends, we hope you had a wonderful 4th of July weekend. This would be the reason why we’re a little late in getting our Life’s a Charm out, along with the fact that I’ve been sick the past few days and have been operating at a slower speed. Did you do anything fun to celebrate? We visited Gettysburg and I cooked a big meal for our family – marinated and grilled chicken; cole slaw; potato salad; and of course, homemade cherry pie! It was so much fun to cook a big meal like that, I don’t get to do that nearly enough! For this month’s Life’s a Charm we decided to make a quilt (imagine that! … our first for “Life’s a Charm”), something easy that could come together in a snap. We’ve had 16 fat quarters of 30’s reproduction fabric sitting around in our stash for a long time and decided it was high time to do something with it. 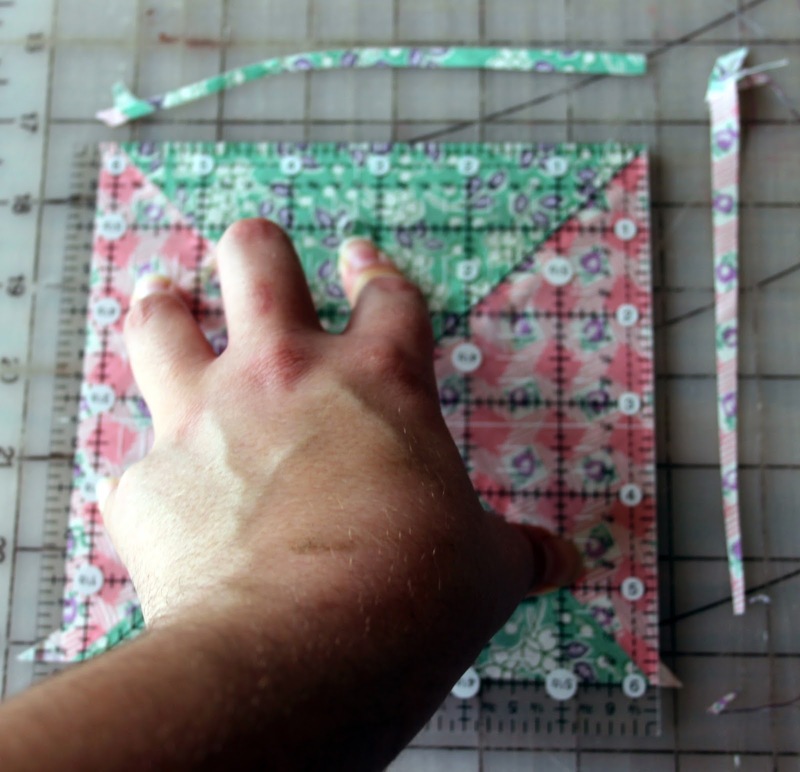 So, I cut it up into 5″ charm squares and got 192 squares. 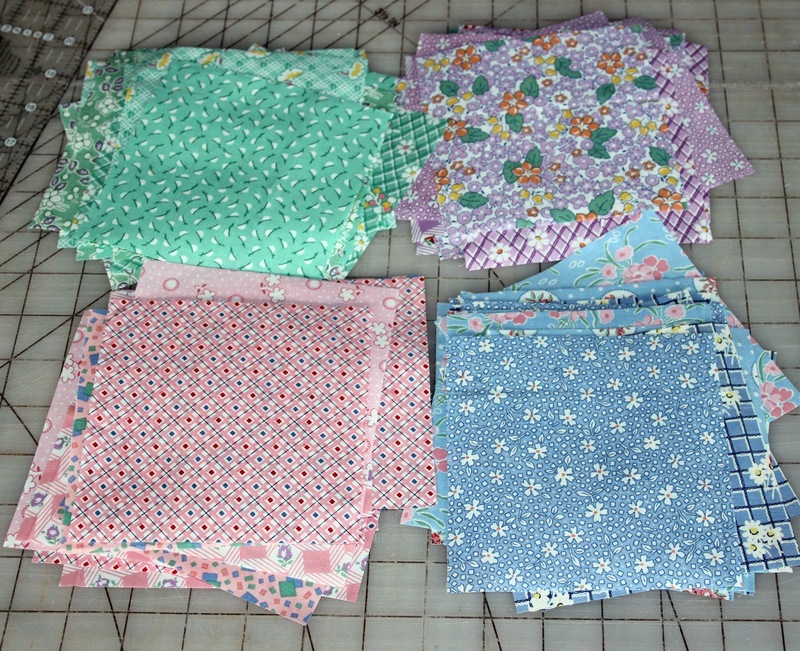 We ended up using most of these squares for this lap quilt. 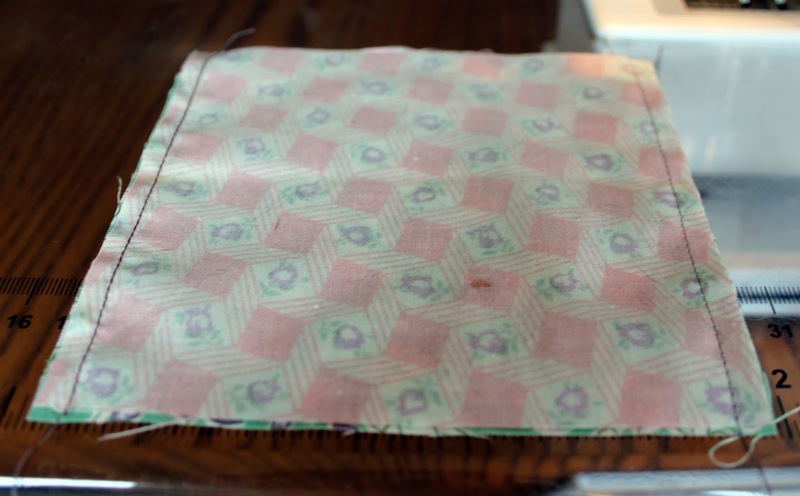 For those of you making charm squares out of a fat quarter, it is very easy to do. You will be able to get 3 rows vertically and 4 rows horizontally giving you 12 charm squares. – Your favorite rotary cutter, cutting mat, sewing machine, iron and ironing board! 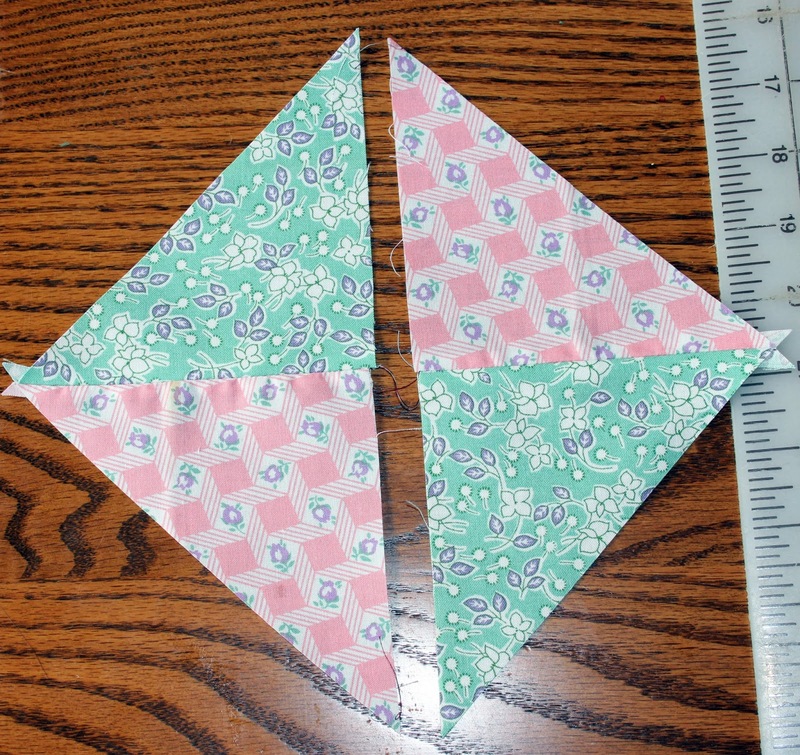 Separate your color scraps and make two groups of two. So, I put purple and blue together (group 1) and pink and green together (group 2). 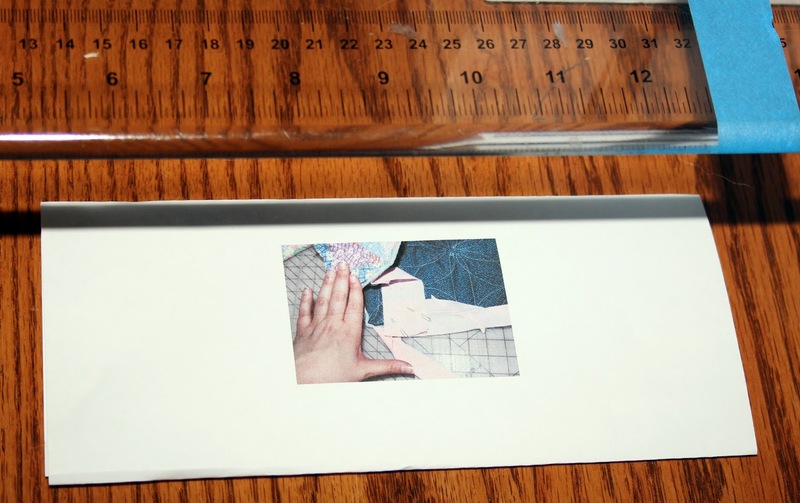 Using your 2 1/2″ x 6 1/2″ ruler, cut each square on the diagonal and iron the seam flat. 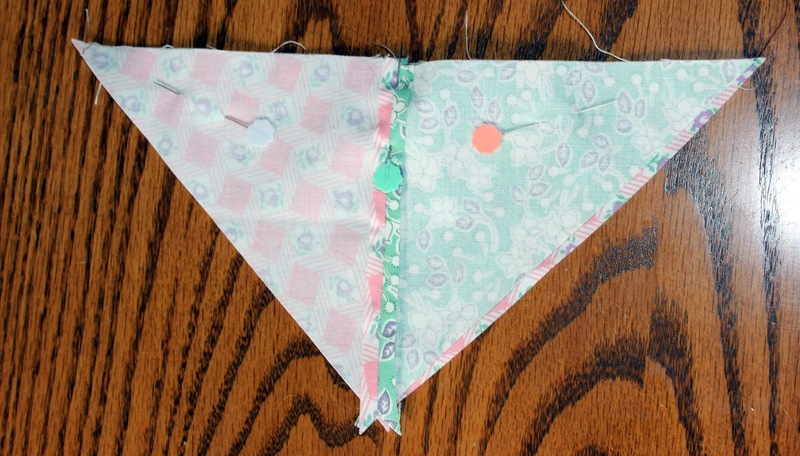 Pin your pieces back together, lining up your center point to create an hourglass block and sew together. Your will need 49 blocks of your first group and 32 blocks of your second group. 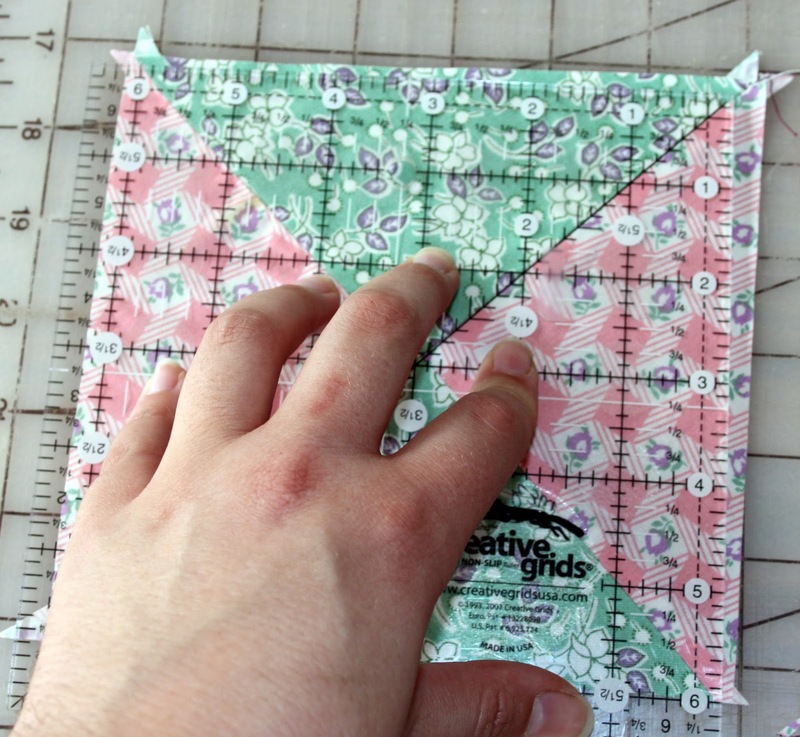 Using your 6 1/2″ square ruler, proof your blocks to 6″ x 6″ squares. 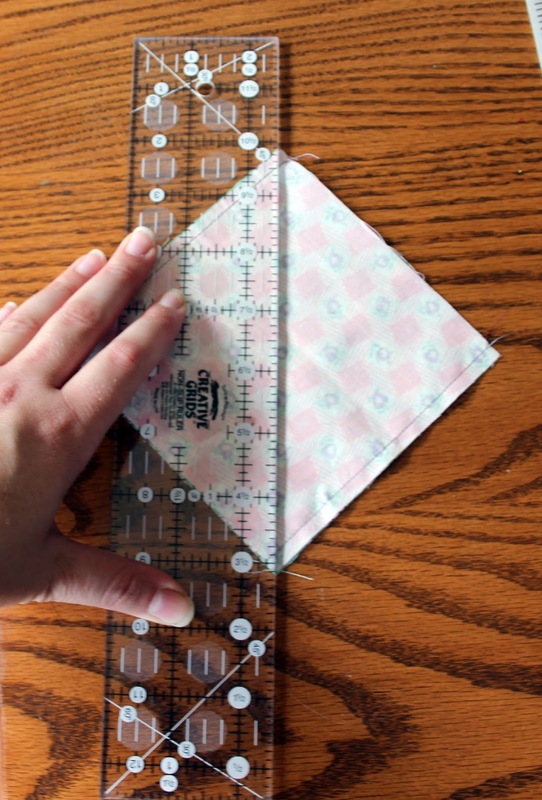 Iron your seams flat. 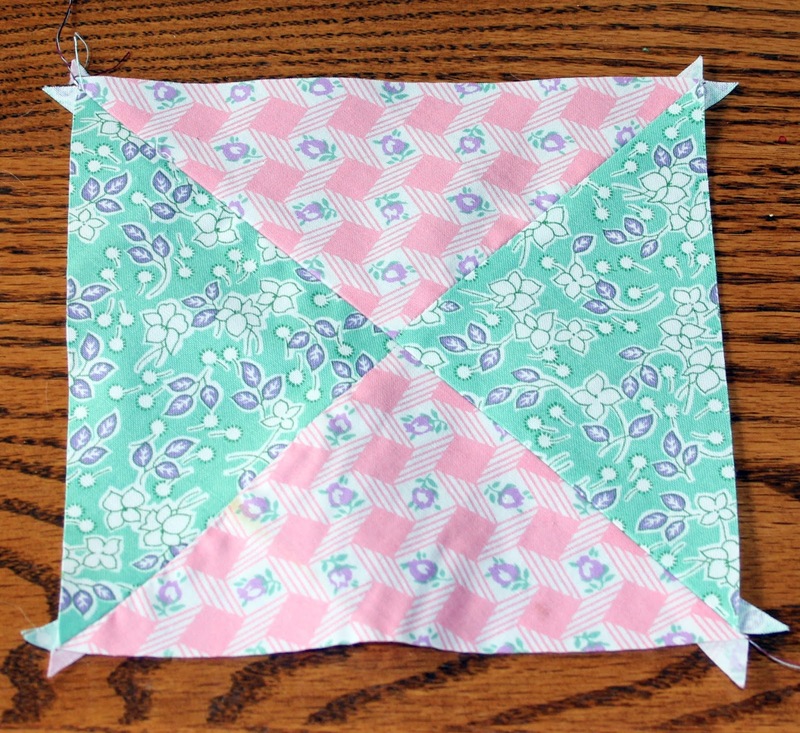 Lay your quilt out starting with one color in the center and lay the alternate color around the center block. 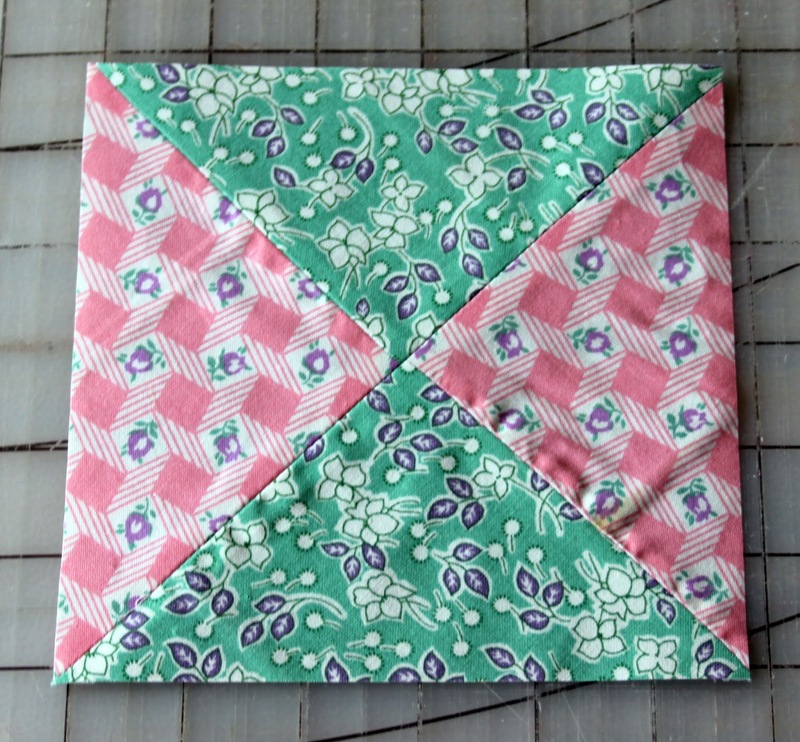 Keep alternating colors (around the world) until you have a 9 block x 9 block quilt. Sew your rows together. Your quilt top is complete! 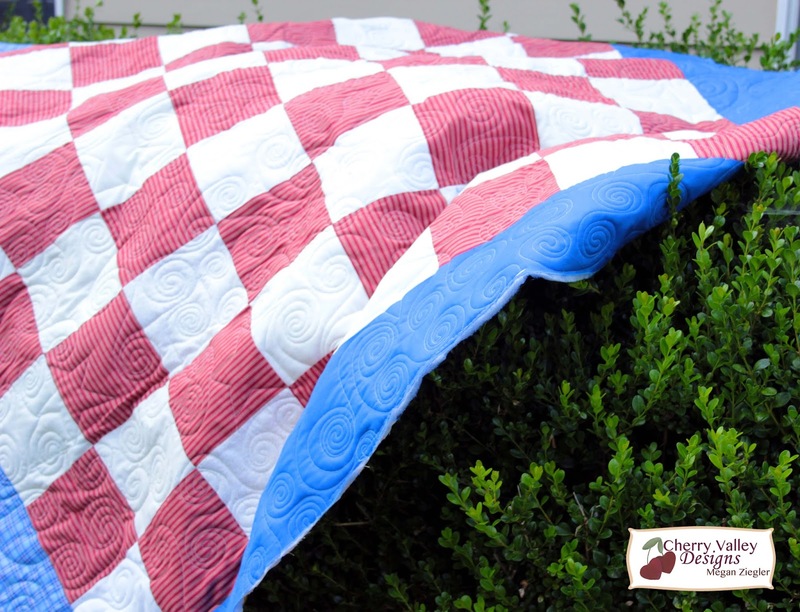 I can’t wait to get it on the longarm and get it quilted! 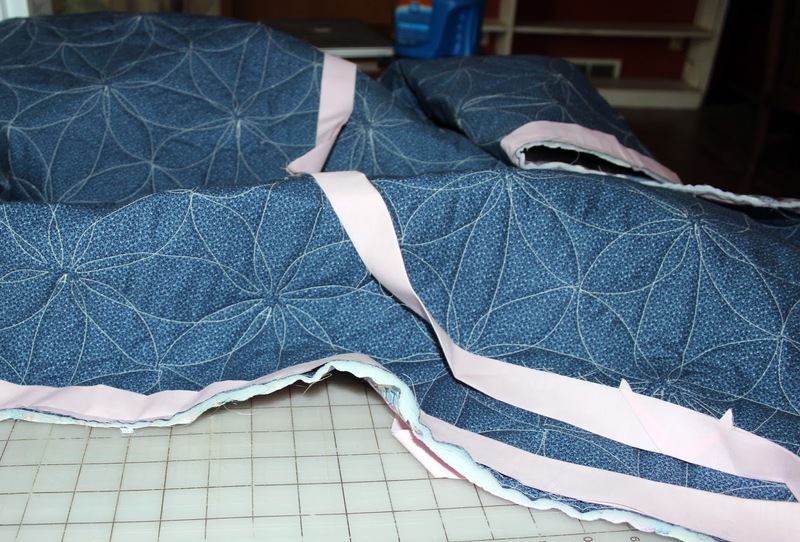 Check back next week for how we quilted this and bound this quilt! … There may even be a tutorial involved!